Who would I be if I didn’t live in a world that hated women?” asks Valenti, founder of the website Feministing, in the introduction to her new memoir. 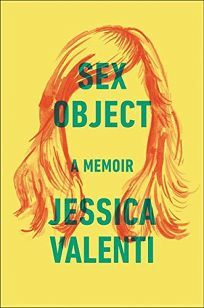 In a confident and compelling volume that sweeps readers along from her childhood in Queens, N.Y., to her experiences of motherhood and her career as a celebrated feminist writer, Valenti attempts to answer the question—not by imagining that other “version of myself that never existed” but by setting out a bold and unflinching road map of her journey to becoming the woman she is. Valenti has a knack for making the mundane moments in her life startling and the shocking ones routine, which is exactly what is needed in a book that seeks to force its readers to reevaluate the norms of sexism and sexual violence that have become our wallpaper without our even noticing. Her style is fluid and engaging, drawing the reader in with deftly drawn anecdotes and demonstrating different insidious forms of gender inequality through the vivid recreation of her own lived experience. The choice to order the book nonchronologically, starting with the description of her first abortion and jumping between childhood taunts and marital pressures, between her own experiences and those of her mother and grandmother, is a powerful decision that allows the stories to breathe. Valenti is offering something that is more than the sum of its parts. By presenting these vivid snapshots in a messy and disjointed way she invites the reader to examine the gendered implications of each episode, the better to understand their cumulative impact on her as a woman. In many places, the anecdotes speak eloquently for themselves. Occasionally (as in the description of her mother’s offer to talk with her about birth control as “a well-meaning lie”) the lack of context can become frustrating for readers, leaving some sketches feeling like empty examples of a wider point we haven’t quite made out. Laura Bates is author of the forthcoming book Everyday Sexism (St. Martin’s/Dunne, Apr. ).